I’ve mentioned my vegan Supper Club before when I made vegan chocolate cupcakes. Well…I needed a quick and easy vegan treat to bring that would fit the theme (Spring is near, I wrote this post a month ago). So I turned my daisy topped cookie pops (HERE) into vegan treats. I’ve been working on a vegan version of my cookies, and my first batch spread a wee bit too much. So I’ll keep at it! 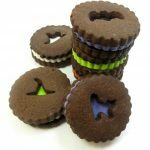 In the interim, these are simple store-bought cookies that I turned into vegan sandwich cookies. As I always say when I make vegan sweets, please correct me if I am wrong about store-bought things I think are vegan! I read ingredients carefully and research each item I use, but internet research isn’t always reliable and it’s possible I miss some hidden non-vegan ingredients. So I will heartily accept critique and correction. 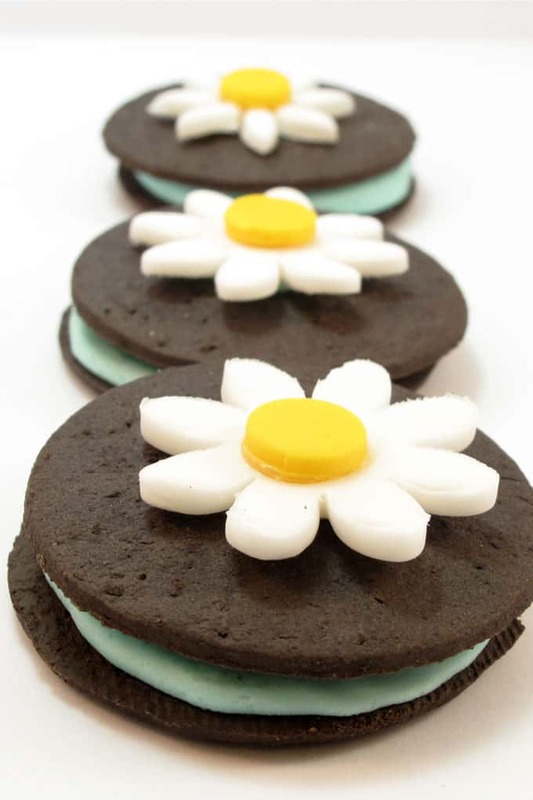 For these daisy-topped sandwich treats, I used Wilton brand prepared fondant and Nabisco Famous chocolate wafers. My aforementioned ingredient studying and internet research led me to believe each of these are vegan, so I hope I am correct! *Find the fondant, frosting bag supplies and cutters in the baking aisle of the craft store. You can buy food coloring there, too, though I prefer the harder-to-find Americolor soft gel pastes (click the link and then click “Links” for tips where to buy). 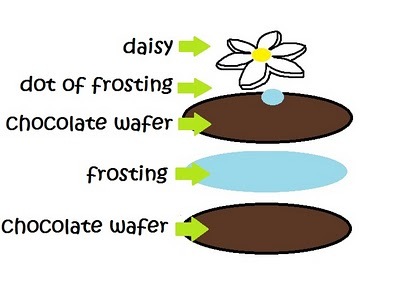 Most supermarkets carry the wafers in the cookie or baking aisles. I used a size “10” decorating tip, but I think a size “6” might’ve been better. 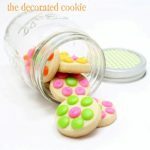 Click HERE for more tips on buying cookie decorating supplies. 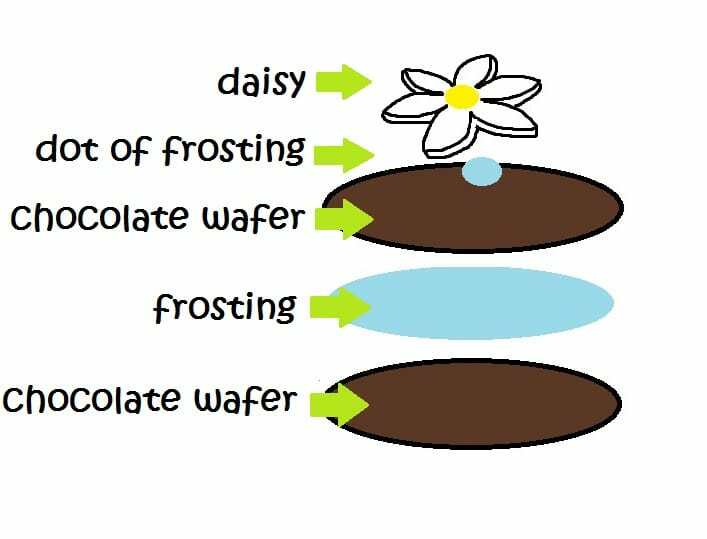 To make the fondant daisy toppers, click on the daisy cookie pops and follow “step two”. 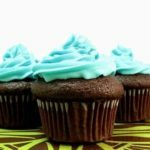 Follow the recipe to prepare vegan frosting. 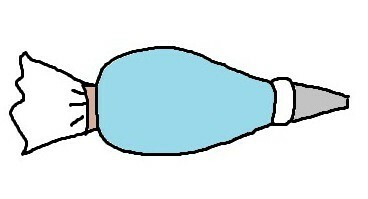 Add a drop or two of sky blue coloring (or any preferred color) and mix well. Prepare a frosting bag with coupler and tip, fill with frosting and tie closed tightly with a rubber band. I used a size “10,” but I think the end result was a little too sweet. A size “6” would’ve been better, I think, though the cookies would’ve been thinner. Lay out half of the cookies on a tray wrong side up. Pipe circles on the cookies and fill completely with frosting by piping back and forth (or pipe a swirl, it doesn’t really matter as you won’t see the frosting). Top with another cookie. Pipe a dab of color on the back of a daisy and press on top of the cookie. Keep in the refrigerator until ready to serve. 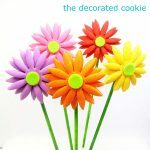 These are wonderful – just in time for Mother's day too and Spring! I make vegan sugar cookies all the time, they come out great. I just use my regular cookie recipe but sub in Vegan powdered sugar, Earth Balance sticks (gotta be sticks), and Ener-g egg replacer. I also add in TB of tofutti sour cream or cream cheese, if I have it. I also converted the sugar cookie recipe using the same ingredients as Dream it Up Cookies – I didn't use the Earth Balance sticks though – just the tub and I thought it came out great and no spreading. These are sooo cute! My hubby's a vegetarian and recently gave vegan a try for a month, but found it too hard to find things to eat and he doesn't like to cook. LOL..so he switched back. The only thing I would say isn't vegan here is the fondant. If Wilton uses powdered sugar at all in their fondant, then it's gone thru the *bone char* process to make it white. I found out this term when doing research when hubby tried it out for a month. Kind of make mes NOT want to use any sugar or flour again! LOL…Jan aka CookieJan's Creations from flickr. I so sympathize with vegans everywhere, because non-vegan foods are so pervasive. I had heard that Wilton fondant was the one brand that IS vegan, but the problem is that I may read one person who says it is vegan because they don't know about this bone char process (um, ew?) and hence where misinformation spreads. sigh. I'll look into Wilton fondant for sure. Thanks Scarlett O'Hara!!! 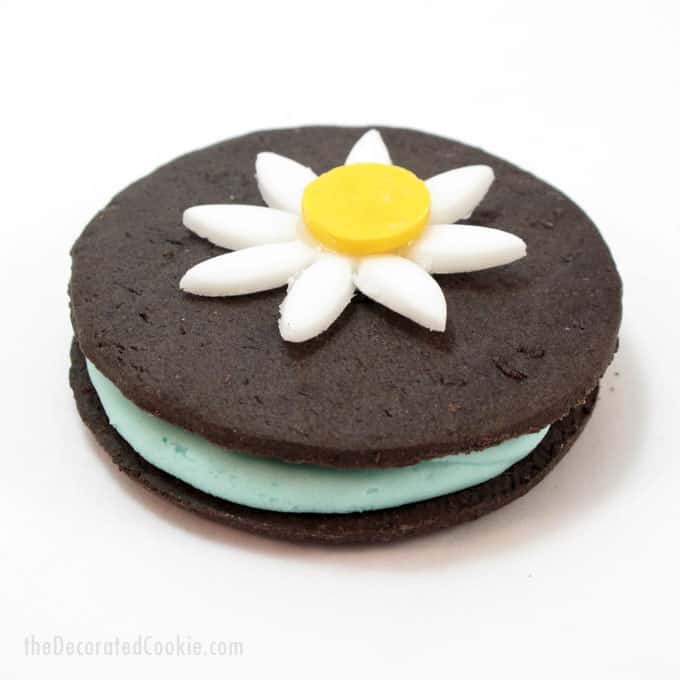 Love the contrast of the daisy against the chocolate cookie! It really pops! I LOVE finding vegan goodies! And these are so cute. I'm a vegan leaning vegetarian myself and have only recently begun hearing about this bone business. The first place I heard it used was in wine. I had no idea! I'm learning so much the more I research. Thanks so much for yet another fabulous project, I'll be linking to this!